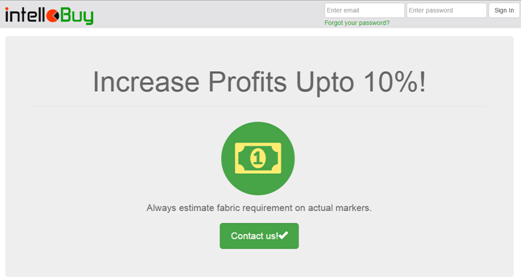 IntelloBuy is a material estimation solution for the sewn product industry. It is the second product by ThreadSol bringing the enterprise material management model of the company to the next level. IntelloBuy gives accurate buying consumption for the factory which saves millions of dollars of material cost at the buying stage every day for manufacturers worldwide. What makes the best fabric estimation system? Accurate data prediction: With intelloBuy, a factory can calculate accurate buying consumption for a particular style based on past orders, allowing the user to add exact wastage from factory floor to generate the most accurate fabric requirement. Run unlimited cutplan: users can run unlimited number of cutplan by uploading a consolidated excel sheet (buying sheet), in just a single click. Integrate with CAD and ERP: intelloBuy allows native integration with CAD softwares providing the flexibility to make markers automatically. Marker database: Having a unified library of markers from each run reduces needless turnaround time in cases of style / model repeat. 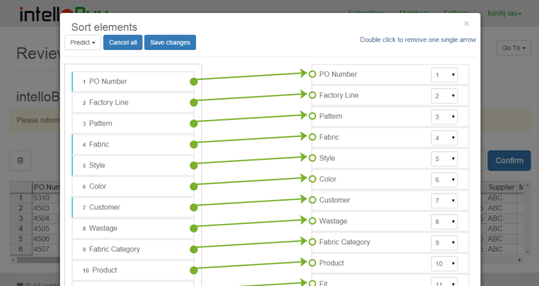 Predict incoming fabric: Predict the width and shrinkage of the fabric before it comes in house to estimate buying consumptions by tracking the past records of the vendor. IntelloCut integration: intelloBuy integrates with intelloCut facilitating enhanced accuracy through pre-populated data gained from intelloCut. Reporting: User can access accurate reports and metrics for fabric yield/consumption for costing and buying purposes. The factory can buy exact fabric for a particular style/ order- not more, not less. This can save up to 10% fabric cost, ultimately boosting profit. The ability of the software to handle bulk orders and unlimited styles enables the users to save up to 80% of their time. User can spend more time relaxing and less time making markers, drastically reducing manual effort. All this information is in one place so the user knows where to look for a particular style during the final production run, minimising redundancy. Knowing the width/ shrinkage for a particular style helps in the marker making process, thereby buying fabric as per the exact fabric requirement. This also reduces the redundancy of making the production markers. IntelloBuy can gather all the required information from intelloCut, without the need to manually enter in the system. Through the advanced reporting offered by intelloBuy, one can get details of the consumption calculation for different style/ order, vendor details for width/ shrinkage, factory process loss, buyer’s details of size-wise order break-up etc. IntelloBuy takes information from the spread sheet uploaded and provides flexibility to customise it, for any buyer.